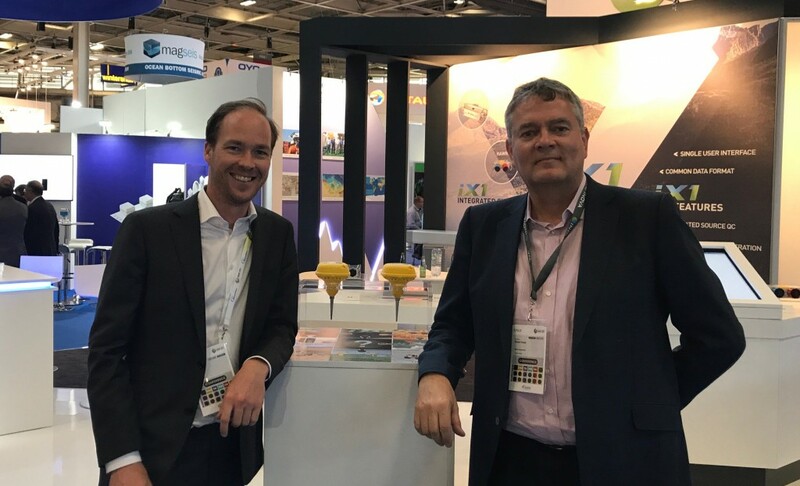 INOVA Geophysical of Houston, Texas and Innoseis of Amsterdam, the Netherlands are pleased to announce that they have entered into an Agreement to jointly develop a world-leading autonomous nodal acquisition system to drastically reduce the cost of land seismic acquisition. Innoseis will supply INOVA with their market-leading nodal seismic sensor, Tremornet. INOVA will integrate this technology with their new iX1 central software platform and their market-leading source products to provide worldwide sales, field support and marketing of a fully integrated, high density Broadband nodal acquisition system, to be branded as QUANTUM. Combining the Innoseis nodal sensor with INOVA’s central software and their highly experienced worldwide customer support network provides geophysical contractors and E&P companies with a compelling solution for the needs of the seismic market. Ultra-low power technology means that each Innoseis node is significantly smaller and easier to handle, without compromising on sensing performance or battery life. This makes deployment and maintenance of large sensor networks simple, fast and very cost efficient. With iX1, intuitive, easy-to-use software provides full support for seismic operations including high productivity vibroseis techniques, fast data downloading and delivery of final data and the ability to combine cabled, nodal and TZ systems all via a single platform. Mark Beker, CEO and co-founder of Innoseis said, “Innoseis is very pleased that INOVA has selected Tremornet to enhance INOVA’s product range in combination with their iX1 software and excellent global support network. This demonstrates the growing acceptance of Tremornet as the leading nodal technology in the industry and enables Innoseis to further support its customer base. We look forward to bringing QUANTUM to the market and continuing to challenge the cost of land seismic acquisition. Innoseis is a spin-out company from Nikhef, the National Institute for Subatomic Physics in the Netherlands and is born from Nikhef’s Gravitational Physics group. Their nodal technology pushes the boundaries in wireless seismic sensor networks for onshore geophysical exploration and monitoring.